The Atomic Bomb and Wendover Air Base. 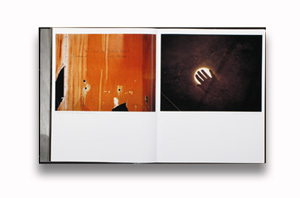 Photographs by Mark Klett. Text by William L. Fox. Radius Books, Santa Fe, USA, 2011. In English. 160 pp., 40 color and 30 duotone illustrations, 9½x11¾". There is a twisted steel dome in Hiroshima that stands as a grim reminder of the city's destruction by the first atomic bomb. Halfway around the globe, on the border of Utah and Nevada, stands another ruin. The site that housed the bomber that carried “Little Boy,” Wendover Army Air Base, now crumbles from neglect. The stories and relics of Wendover describe more than just the past; they point to a historic cycle, a present increasingly filled with new threats of devastating nuclear and chemical warfare. For this book, American photographer Mark Klett (born 1952) has teamed up with William L. Fox, a celebrated science and art writer whose work focuses on human cognition and memory. Together, the two have created a fascinating visual and textual portrait of Wendover Army Air Base, examining the experience of memory in relation to the great tragedy of America's atomic age. This beautiful book has a wrap-around front board designed so the binding lays flat for easier viewing. The text block is exposed to reveal the stitching at the inner edge. 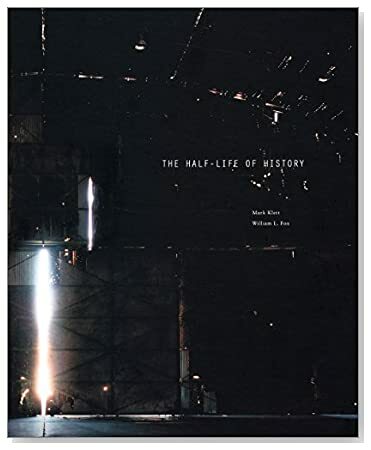 Read David Ondrik’s review of The Half-Life of History in photo-eye Magazine. Mark Klett is represented by photo-eye Gallery. See his work here.